The securities turnover on the Baku Stock Exchange (BSE) on February 4 was 261,850 manats, as evident from the statistics published on the exchange website. Secondary market bonds made up most of the transactions. During the day, deals were concluded on the dollar bonds of the Azerbaijani state-owned SOCAR company and the Invest-AZ investment company. Transactions on SOCAR bonds were concluded at a price of $1,036 per bond, on Invest-AZ at a price of $1008. 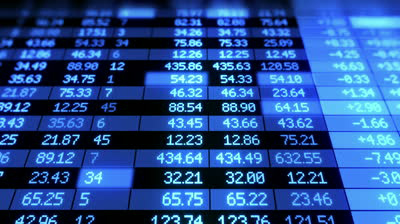 The volume of transactions on the secondary market of shares of the stock exchange stood at 23,840 manats. During the day, deals were concluded on the shares of Tekhuniversal OJSC ("Texuniversal" ASC), Oguz-Aptek OJSC ("Oğuz-Aptek" ASC), OJSC "Baku Tape Recorder Factory" ("Bakı maqnitofon kasetləri" ASC), OJSC " Imishli Road Construction-6" ("İmişli yol tikinti-6" ASC), OJSC "Baku Building Structures" ("Bakı tikinti konstruksiyaları" ASC), OJSC "Holcim" (“Holcim" (Azərbaycan) ASC), OJSC "Mingachevir Vibrosupport Factory"(" Mingəçevir Vibrodayaq zavodu "ASC), OJSC" Barda Broiler "("Bərdə Broyler "ASC), and others.